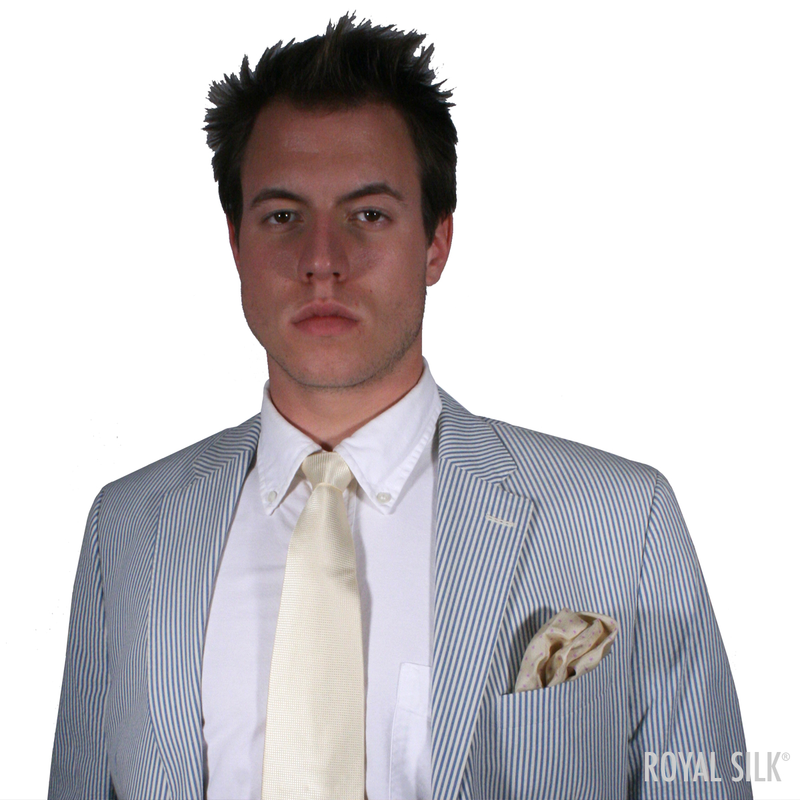 Mellow silk pocket square by Royal Silk. 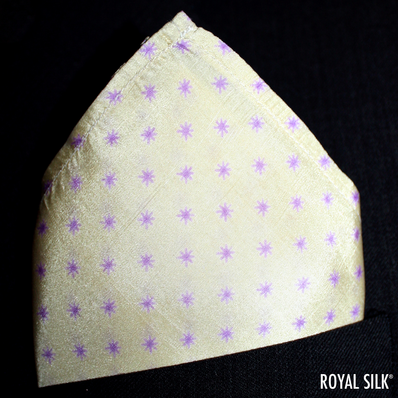 Dainty lilac sparkles dotted against a ground of soothing alabaster. Pure India silk. Hand wash or dry clean. About 17� square.